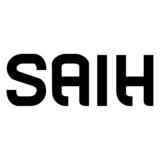 SAIH is the Norwegian Students' and Academics' International Assistance Fund. Students’ and Academians’ International Support Fund (SAIH) strives to educate on the topic of development cooperation. Additionally, they provide North/South seminars and information on political advocacy in Norway. Their slogan is "education for liberation". The local chapter in Bergen arranges events such as lectures, debates, campaigns and social activities. They meet weekly. Adresse: Nygårdsgaten 1B, 5015 Bergen.